The miracle of recording is somehow no less extraordinary in this digital age – the ability to capture sound, the revolution that transformed music making worldwide, for better and for worse. 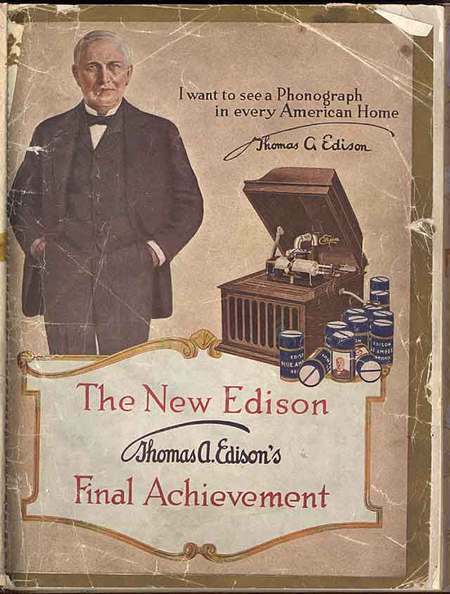 Back in June we recorded one of our songs onto wax cylinder at the Thomas Edison National Historic Park. We had to speed up the song in order to fit it onto the 2 minute 10 second recording limit. Pretty neat experience! It inspired us to create a music video for that recording. We played with the idea that this was actually a antique recording of the band. I wonder, in fact, what new ways people may find to integrate physical and mechanical musical techniques with digital systems. Anyone with ideas, fire away. Mission accomplished. Photo (CC-BY) Thoth God of Knowledge.